With the Google voice feature and Siri being the most talked-about and exciting things to happen to this generation, voice recognition is something everybody is familiar with. 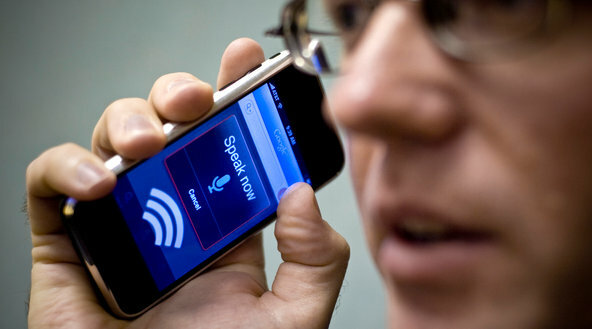 Everybody has tried to give voice commands to their smart phones or computers. Thus, most are familiar with the pros as well as the cons that come with it. Voice recognition is the ability of a machine to decipher your speech into written words just by listening to it. There are software available that perform this function. The utility of such a software is immense in today’s fast-paced industry where big data has taken the world by a storm. Where audio recordings of meetings and sessions were rendered almost useless because of the hassle of having to go through them one by one to extract the crux, voice recognition software have made this a piece of cake. VRS helps the flow of creativity. It ensures that your thoughts are not marred by frequent stops that you will have to make if you are typing or penning them down yourself. If your gadgets enable the voice command feature, you can multi-task. You may even cook and work together. fast typing comes with a lot of time invested in practice. Thus, it isn’t everyone’s cup of tea. Or rather, not everyone has the time to spend practicing it. VRS solves this issue by providing the services of typing what you say at the speed you say it, provided you are clear. there are a number of other software you can use with voice recognition software. Write a mail, schedule a meeting, all at your beck and call, literally. while most software takes time to get the hang of, voice recognition is really easy to understand and use. You do not have to be a tech-junky to figure it out. Clarity of the words spoken is key for this software to give you the optimum result. The results of different software of course vary. However, on the whole, proofreading of whatever is typed may be required. Or if you are using it to give commands, you might have to repeat a few times to ensure you’re meeting the software’s sound quality benchmarks. some software are better than others. Hence, some have a better accuracy rate than others. In order to give successful commands, a certain level of quietness will be required. If you work in a boisterous environment, your voice recognition software might not work. voice recognition software aren’t cheap, especially if you’re looking for an expert one. On the other hand, typing or working manually is pretty much free. In summation, getting a voice recognition software depends on your needs. Moreover, the more technical and more often your transcription work, the more specialized VRS you may want to buy. Durell Turner is an avid technology writer who works as a transcriptionist as well. For more information on transcription services, click here.